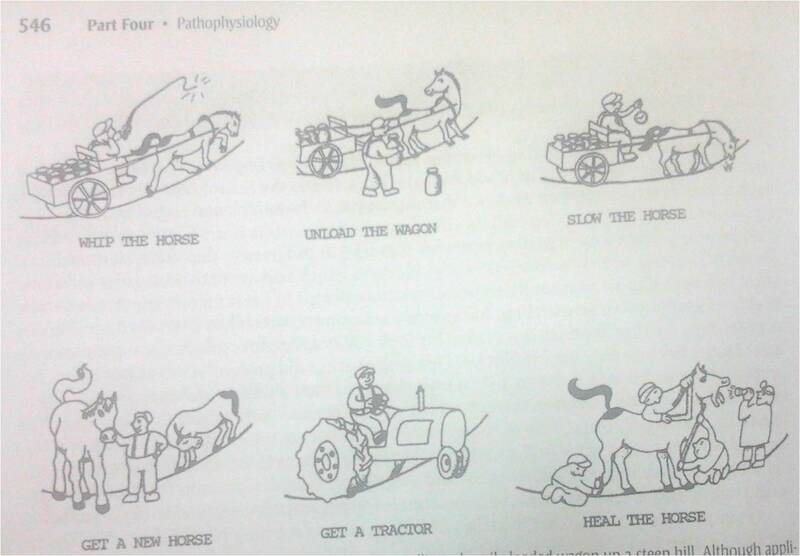 This cartoon succinctly depict all the options we have in our fight against end stage heart failure .We know , a failing heart is often compared to a sick , aged and tired horse. Avoid all Inotropics ( Doubutamine and Milrinone were shown to improve quality of life marginally but with dramatic reduction in quantity of life ! However , the same thing does not apply for Digoxin as it is the the only Inotropic with a soothing para-sympathetic comfort ! Please be reminded, CRT wires could act as “multiple whip equivalents” right inside the heart , especially in advanced class 3 or just recovered class 4 patients. Beware! Obesity is a major cardio vascular risk factor.We earnestly believe this by evidence from Framingham and other studies.However , epidemiological truths can be dissociated from individuals . We now understand some of the obese patients fare better in CHF outcomes apparently because of the obesity ! Even patients who undergo PCI show some benefits.This concept is being proved in large data base of > 200,00 patients. The lay man’s logic may apply (Science hidden somewhere !) Obese persons have basically a large heart with better cardiac reserve and muscle mass .These hearts are pre-conditioned to extra burden of MVO2 in it’s life time . So it is able to tackle hypoxia better, takes more time to get fully exhausted .After all heart can consume fatty acids for it’s energy requirement. Adipose tissue may also secrete favorable anti-inflammatory chemicals , though majority of adipocytokines are detrimental except adiponectin .Paradoxically the tumor necrosis factor TNF (Same as cachectin or Interleukin 6) is less in obese patients . What are the factors other than ejection fraction (EF) that determine the functional capacity in cardiac failure ? What are the factors other than EF % that determine functional capacity in cardiac failure ? Please remember , there are at-least 10 factors that are important in the genesis of symptoms of heart failure . The list can extend further if we include like associated renal dysfunction , hemoglobin concentration , etc . Even though LV pump primarily determines the ultimate outcome in cardiac failure , it is unwise to blame the EF % for all the suffering . If only we realise this fact , one can take appropriate measures . ** Paradoxically modalities aimed to improve LVEF by positive inotropics has never been shown to improve the outcome .In-fact , there is more evidence for the contrary ! A critical approach to management of Refractory cardiac failure ! 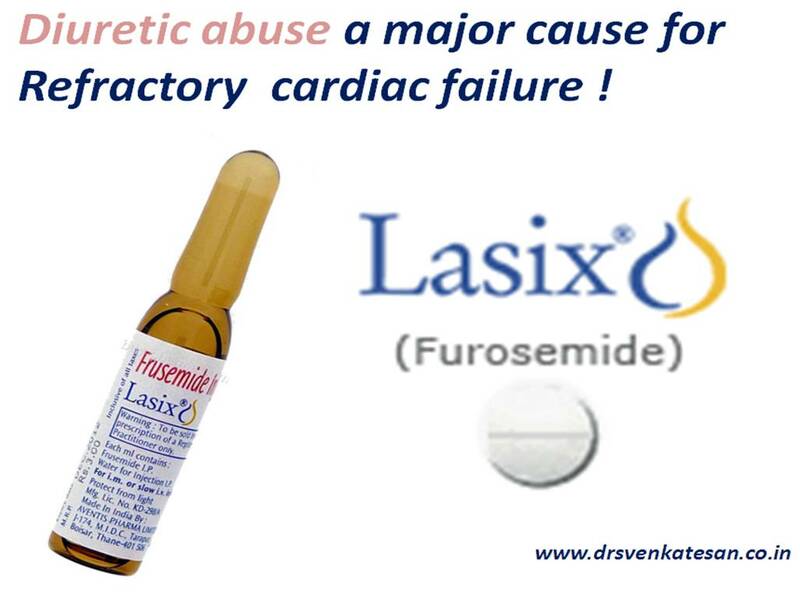 Cardiac failure is a progressive systemic disease , even though the primary problem originates in the heart .Most of the symptoms and clinical features are related to Neuro-Endocrine activation instigated by poor pumping function.When the diminishing cardiac function exceeds the compensatory mechanisms , full blown cardiac failure sets in and get into a vicious downward spiral unless intervened. The conventional treatment model involves on three targets. Though the concept looked attractive there are many missing links . Medical treatment lags far behind the desired goals. Still , it can stabilize most of the patients with cardiac failure till they reach very late stages. Inadequately treated CHF is not synonymous with refractory failure . But , practically it is the commonest cause for refractionaries . Hence , every patient must be scrutinised meticulously for adequacy of treatment. Primary mitral , aortic valve lesions causing cardiac failure need not be considered as refractory cardiac failure . In the strict sense myocardial disease /damage either idiopathic or secondary to CAD would form bulk of refractory failure . COPD -Cor pulmonale /Primary pulmonary hypertension / End stage congenital heart disease and Eisenmenger syndromes form separate group of CHF and would not be discussed here. 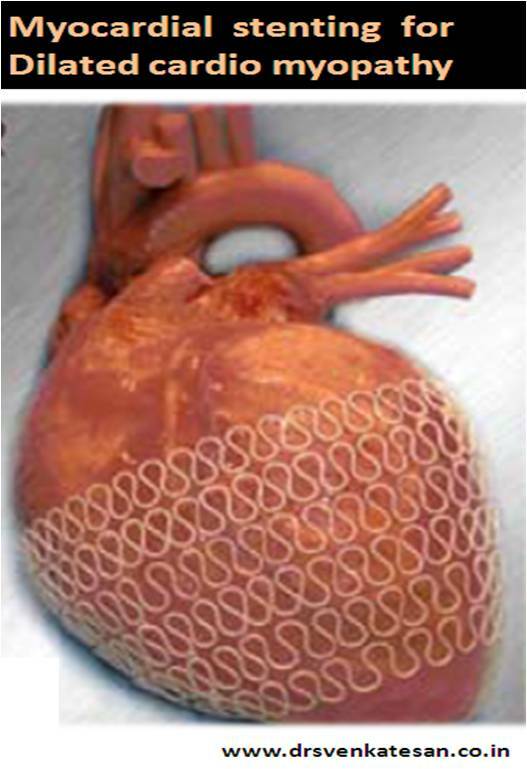 The valves , the fibrous skeleton, the pericardium are integral parts of the heart . Individual disease process can affect these compartments in a differential pattern . When we refer to refractory heart failure it amounts only two large disease groups.Ischemic and idiopathic cardiomyopathy.The whole myocardium is a single unit. If it is destined to fail it will fail in toto. There can be reversible factors that can be addressed. The coronary artery though not a part of heart has a major say in the outcome of cardiac failure as they determine the cardiac muscle integrity.In every patient with refractory cardiac failure , an attempt must be made to rule out any re-vascularisible lesions. The primary difference between ischemic and Idiopathic DCM is , in ischemic DCM left ventricular segments are predominantly involved . RV function is relatively preserved until very late stages. Age , gender, body weight , systemic illness that increase metabolic demands have an adverse impact . Diabetic patients fare poorly . In refractory cardiac failure the renal blood flow is reduced .Diuretics usage will further worsen this if ECF is depleted . So it is obvious we have to use it very judiciously . 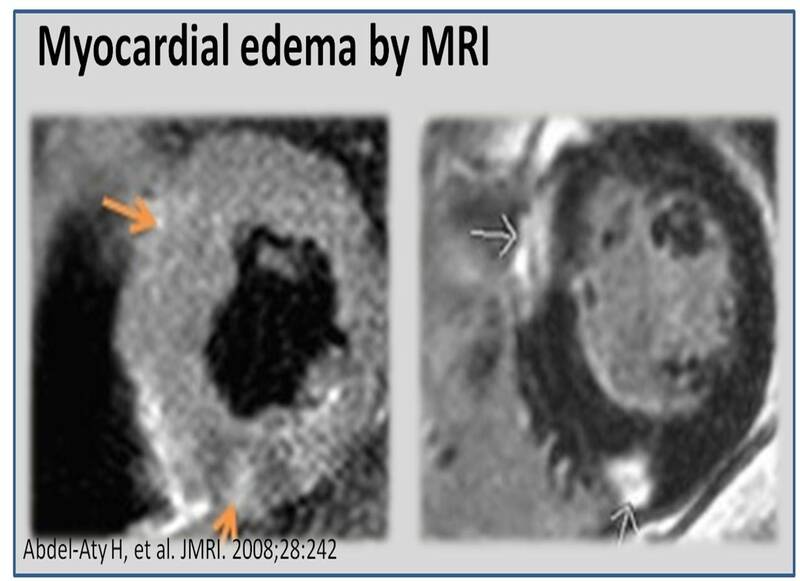 Why only certain patients with cardiac failure develop significant edema while others do not ? This lies in the response of neuro -humoral activation of secondary RASS system. Both inadequate and excess diuretic can perpetuate the status. Ultra filtration can be used in severely volume over loaded patients. Refractory diastolic failure . How common is that ? The incidence of significant LV filling defect are more commonly observed.There is no specific drugs available to tackle this .It may be argued digoxin and other positive inotropes worsen diastolic dysfunction.This may not be true in the bed side.Unless severe LV restriction feature are present digoxin can be continued. RV dysfunction is responsible for systemic congestion .RV function improvement alone can improve the functional class in many .Controlling and targeting pulmonary hypertension is beneficial . There can be a role for off label use for chronic pulmonary hypertension associated with DCM. Tumor necrosis factors and Interleukins are responsible for systemic reaction . These levels are high in CHF. Anti -Inflammatory drugs and diet would help. Statin usage is shown to be beneficial. ATPs ,fatty acid are fuels for the heart .Ailing hearts require it in plenty. Certain drugs like Trimetazidine, L carnitine has been shown to be useful . This is nothing but raising renal parameters as heart failure worsen .This essentially involves fluid and electrolyte management. It is sort of a delayed near death sentence . 5 year survival is comparable to many cancer inflicted patients.Basic medical care remain the corner stone. CRT /ICD* , LV assist devices are slightly more effective with substantial risks and cost involved. Indicated only for rich and insurance infested population who can tolerate both scientific and financial excesses. ICDs* do prevent sudden electrical deaths. There is a fundamental flaw of electrical and mechanical device concepts in refractory heart failure .It forgets , CHF is a systemic disease .A cardio centric approach rarely works to perfection . Nesiritide, (Synthetic Brain naturetic peptide ) Tolvapton ( Vasopressin antagonist) are used with varying success . 20 point bed side prescription tips for refractory failure. Do not try vigorously to move up to class 2 with inotropes you may end up in class 4 ! Optimse diuretics. Add Metalazone to Frusemide. Aldosterone antagonist has unique role (Anti-fibrotic ? ) Caution required in diabetic patients in monitoring renal function . Nephrologist consult is recommended if electrolyte / ECF status fluctuations are more. Avoid dobutamine infusions unless patient insist. As far as possible do not send these patients to big tertiary hospital unless heart transplantation is planned. Systemic approach is the key . De-mystifying cardio centric interventions is essential. Psychological support is vital . Functional capacity has a poor correlation with LV contractile function . The skeletal muscle integrity , blood flow , and its metabolism has critical say in this. Optimal medications , properly regulated locomotion , weight reduction can have a major impact. The secrets of living a good quality of life in cardiac failure , lies not in modern technology but in the rare commodities called common sense and compassion. What are the reversible forms of dilated cardiomyopathy ? The term cardiomyopathy generally denotes a progressive disease in clinical cardiology.There was a time diagnosis of dilated cardiomyopathy (DCM ) was synonymous with a delayed death sentence ! Of course , the situation has vastly improved over the years with the availability of new medical , interventional and surgical management. Still , there is no denying the fact , DCM continues to have a grave outcome especially when it occurs without any identifiable cause . While we have variety of aggressive DCMs , we also have patients with relatively benign forms of dilated and dysfunctional hearts which recover totally . This reversible forms of DCM is observed in the following situations. Hypertensive dilated cardiomyopathy . The left ventricle in some of the patients with severe SHT respond to the stress (Increased after load) by dilatation rather than hypertrophy. This is especially common after an episode of LVF. If we do an acute echocardiogram the LV function is severely impaired and the LV may also be dilated. With good control of BP and fluid management the ventricle promptly return to it’s baseline dimension. The recovery is complete in many . (The mechansim of LV dysfunction acute severe Hypertension is referred to as Pre-load /After load mismatch) Link to concept of Pre load mismatch . * Note in the past these entities were not called as cardiomyopathy . This is a serious disorder of cardiac muscles that occur during pregnancy few months before or few months after delivery . There is correlation between PIH and this entity. Prognosis varies between very bad to excellent. Very few cardiac entities have a natural history like this one disease of women.Most of the pregnant women regain their original cardiac status within year or so. It should be recalled there is high chances of recurrence in next pregnancy. The toxic response to alcohol or the additive cobalt can result in DCM .There is overlap between holiday heart syndrome and alcoholic DCM , where atrial fibrillation is the major problem. Wet Beri beri is the advamced form of clinical DCM that respond to vitamin B therapy. This is also a common entity that occur during persistent sinus tachycardia or AF , thyrotoxicosis.Beta blockers are of great use here. Recovery is usual if the primary cause is correctable. *** Many episodes of acute myocarditis can have transient or short term LV dialtation and dysfunction.they are classified as myocarditis .But there is little difference (Except acadmeic . . .) between chronic myocarditis with LV dysfucntion and cardiomyopathy.